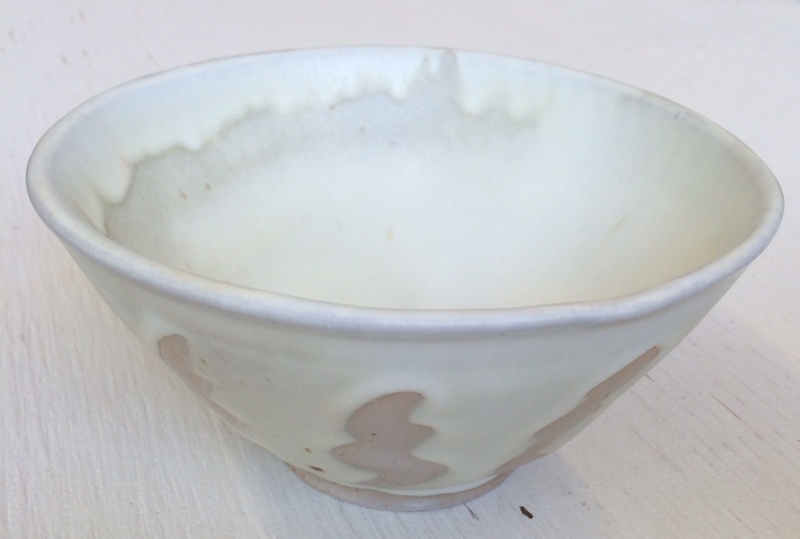 white stoneware. 6″x4″. high alumina matte with wax resist.